I am currently working on several bodies of work. My primary project is a photo essay tittled “Long Summer Days” follows my relationship with my daughter, Haley, as a stay at home father. We live in a small urban community in a small home; however, in a world full of technology, video games, and electronics, we chose a device free lifestyle for her. Haley is at the age where she is developing her strong personality and it is all these elements in which I am capturing and documenting. This body of work disrupts stereotypes of girls while highlighiting her delightfully unselfconscious strength, independence, defiance, and playfulness. 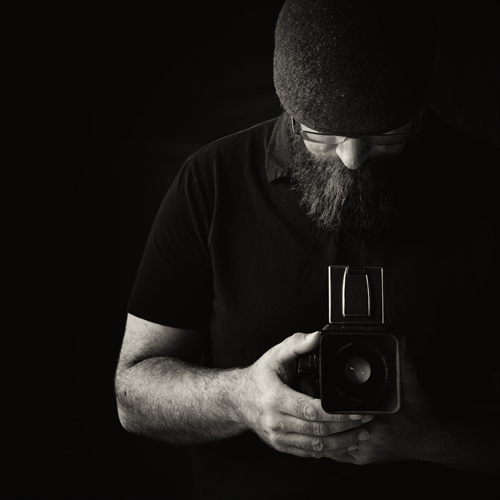 It wasn't until my wife and I had our daughter and I was laid off from my graphic design job at Hewlett Packard that I rediscovered myself as a photographer. I then transitioned back into film, yet held on to digital format as well. I built a darkroom at my home next to my fathers art studio and switch back and forth between the two mediums (digital and film). I have been blending the two mediums together and trying to use the best aspects of both mediums at the same time. I would love for my next adventure in photography to be exploring alturnative processes, both in shooting photos and printing them.